The Edgewater Beach Club is a lake-lovers paradise. Nestled along the banks of Little Detroit Lake between Minneapolis and Fargo, this Minnesota lakefront property offers spectacular views and endless water sports. Enjoy a multitude of outdoor recreation options from your Minnesota timeshare resale with water sports such as swimming, boating and water skiing as well as fishing onsite. If land recreation is more your style, the nearby Detroit Lakes Country Club is only a few miles away and offers both an 18-hole and 9-hole course. Nearby lies a public marina, miniature golf course and tennis courts. The Edgewater Beach Club also offers both indoor and outdoor pools on property as well as private beachfront property for resort guests. You're also welcome to enjoy the on-site BBQ grills, games and sauna. 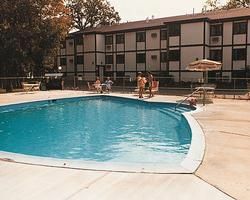 Minnesota timeshare resales at Edgewater Beach Club offer lakefront accommodation with peaceful views and fully furnished units featuring in-unit washer and dryers. Each unit offers private patios to enjoy the great outdoors, and two- and three-bedroom units offer a range of accommodation for travel parties ranging from six to eight guests. 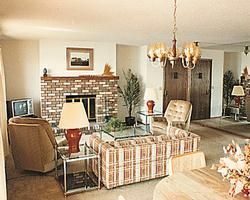 Enjoy the rustic ambience of lakefront property without sacrificing the comfort and luxury you would expect from a timeshare vacation condo. Enjoy the comfort of in-unit fireplace, cable TV and WiFi. The fully furnished kitchen offers everything you need to enjoy a home cooked meal and even boasts a dishwasher, disposal and microwave. Two-bedroom timeshare units offer one and 3/4 baths, a queen sized bed, two twin beds and a sofa sleeper. Three-bedroom units offer one and 1/4 baths, a queen sized bed, two twin beds, one full sized bed and a sofa sleeper. Enjoy the comfort of lakefront property with the perfect location. Nearby to recreation, restaurants and even a casino, this property has something to please everyone. Enjoy a romantic escape or a family getaway at this great resort. Contact Edgewater Beach Club Specialist Today!